Until the 1980s, the island was both wealthy (thanks to its crop exports to Europe: sugar, coffee, cotton, etc.) and independent in terms of food. Today, 55% of Haitians rely on imported food to feed themselves. Two-thirds of them are smallholders, impoverished by political and economic crises over the past few decades. These smallholders are underequipped and have limited access to water, land, infrastructure, fertilizer, technical assistance, and capital. Since they don’t have access to enough land, they overwork the soil of the land they do have, which is often fragmented and hindered by very steep slopes in the mountain regions. Pulled into the vicious cycle of poverty, the most vulnerable smallholders resort to cutting down their trees in order to sell charcoal destined for the capital city. This unbridled cutting of trees considerably degrades the environment (leading to erosion, landslides, etc. ), which poses a growing risk for Haitians, especially in the face climate change. 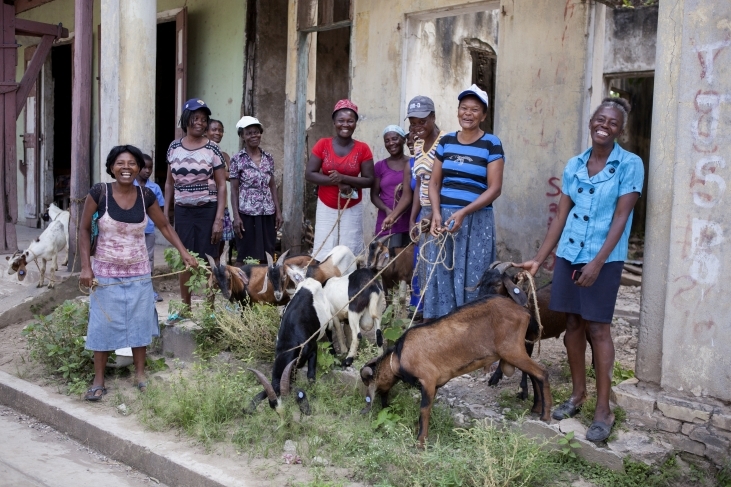 AVSF and VSF Justicia Alimentaria Global are working in Haiti in support of smallholders. Helping people rebuild and recover after Hurricane Matthew.